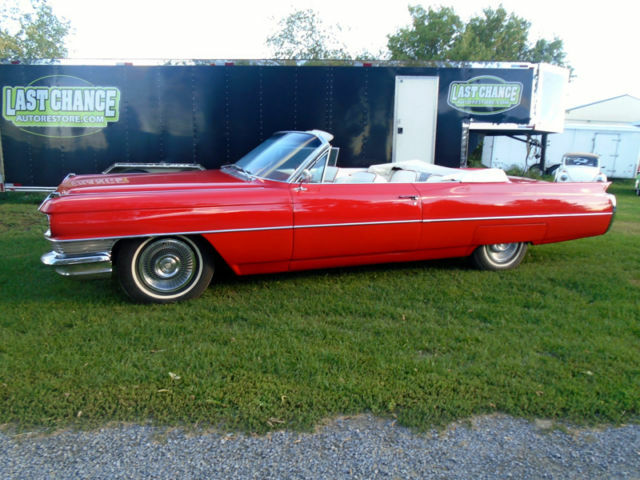 This is a RUST FREE Very well cared for and very well maintained 1964 Cadillac Deville Convertible! Painted 2 years ago. 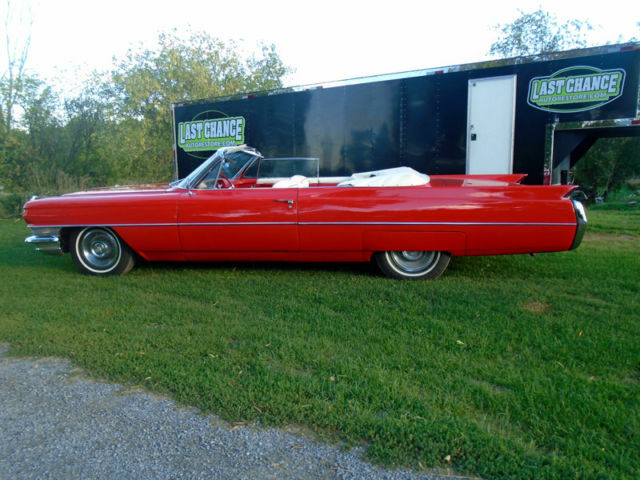 Base Coat/ Clear coat Cadillac Correct Paint "Matador Red". 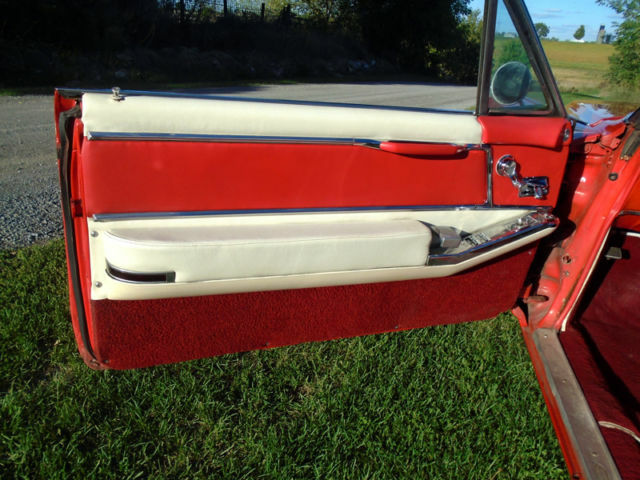 The paint looks wonderful and the body lines are very nice and very straight. 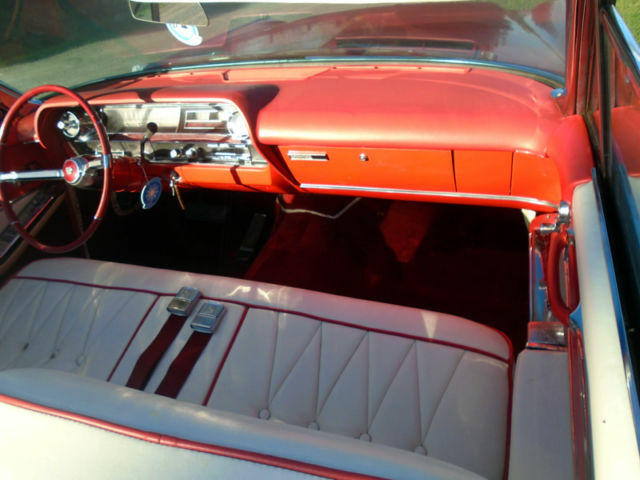 The interior is in very nice condition and has been very well cared for. 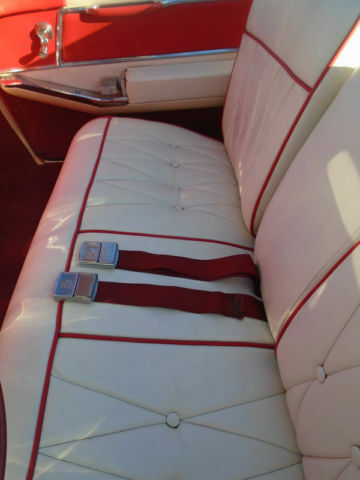 The White with red trim is a nice contrast and the carpet looks like new. 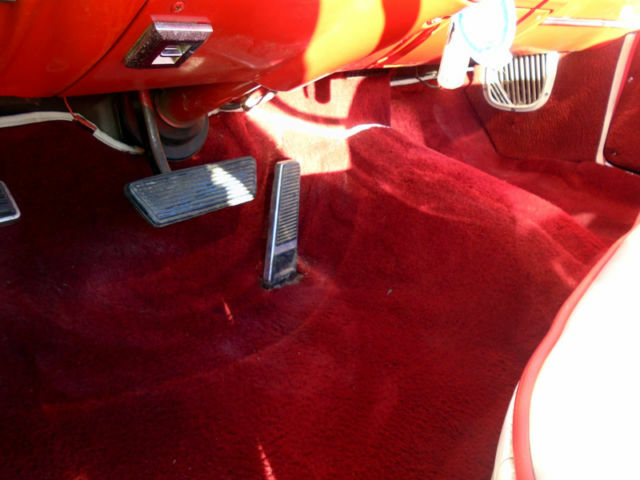 This is a non smoker car. 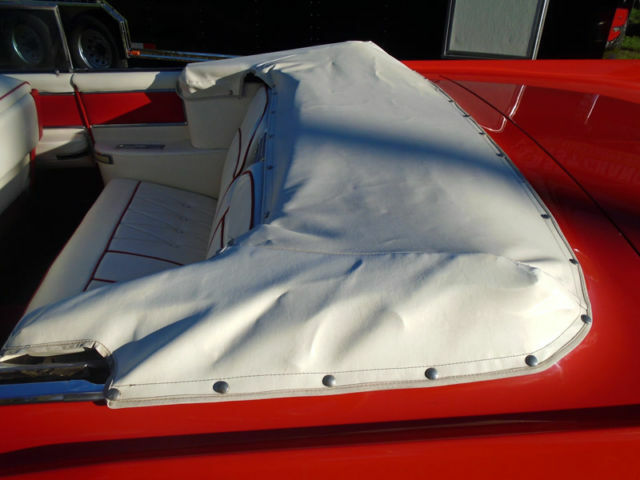 The convertible top is like new (replaced 2 years ago). 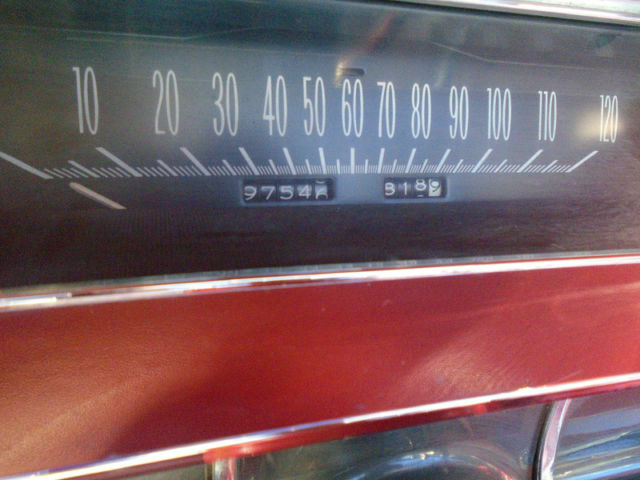 It is the correct white vinyl and the power operation works correctly. 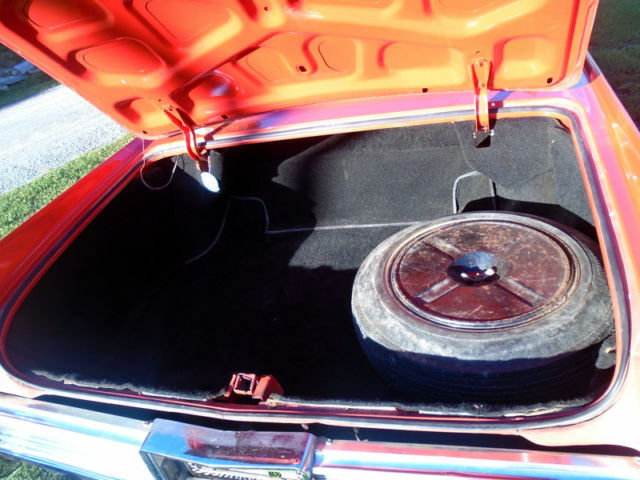 A white boot cover is included with the car. 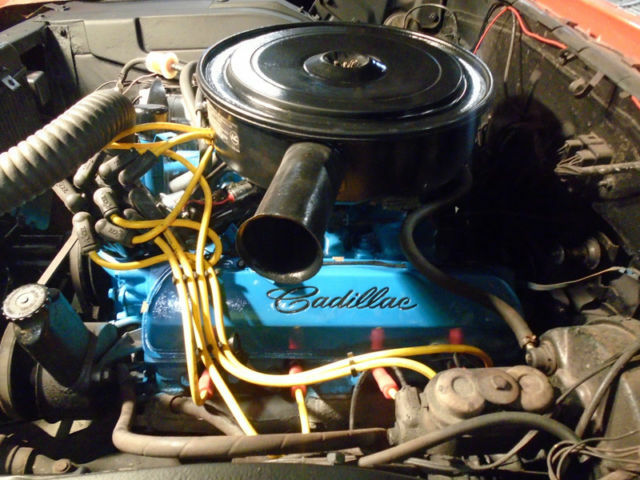 The 429 V8 Cadillac motor (1964 was the first year for this desirable engine) was completely rebuilt approximately 3 years ago and is the correct engine for the car. The engine has received a complete tune up. 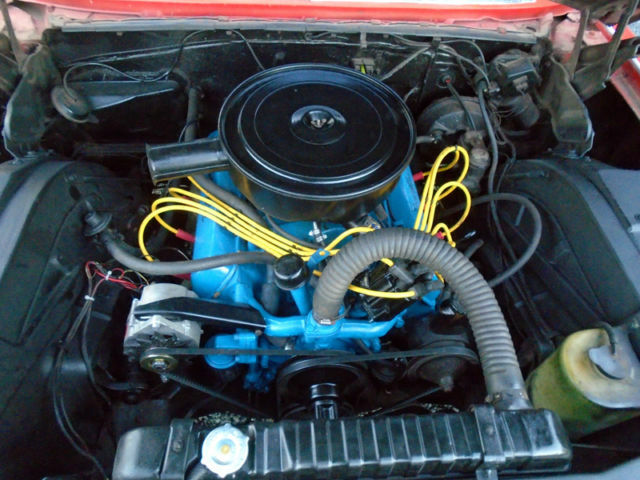 The spark plugs, spark plug wires, points, condenser, rotor and distributor cap are all new. The battery is also brand new! The original starter has been completely rebuilt and all electrical components work correctly. 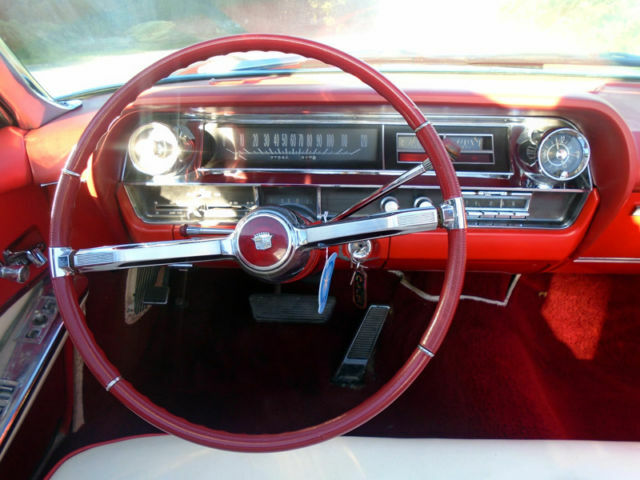 The original 3 speed automatic transmission had the fluid and filter and gasket changed and operates correctly and shifts smooth. The original Power Four wheel drum brakes have been recently replaced and adjusted and work very well. All new brake lines were installed (lifetime nickel/copper). All four tires are in like new condition. They are all season radial tires with white walls and made by Firestone. 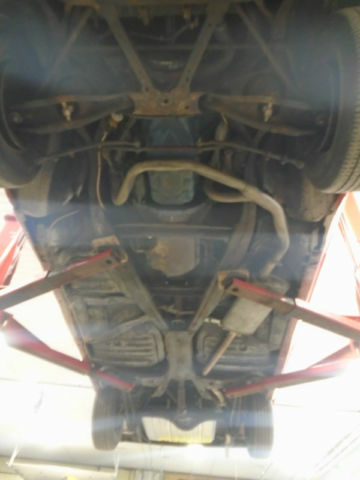 The exhaust system is all new, including a new muffler and all new exhaust clamps and hangers. The original fuel tank was removed and sent for refurbishing. It was steam cleaned, pressure tested and cleaned and received 3 coats of a commercial grade 2 part grey epoxy exterior paint. 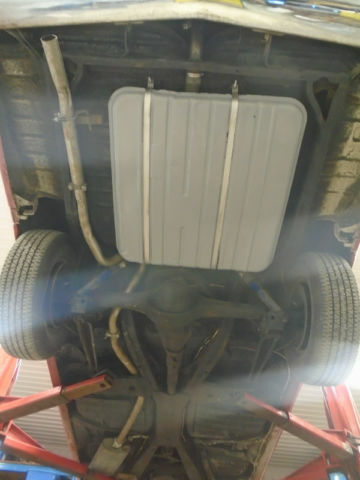 The gas tank straps were replaced with a heavy duty new set. 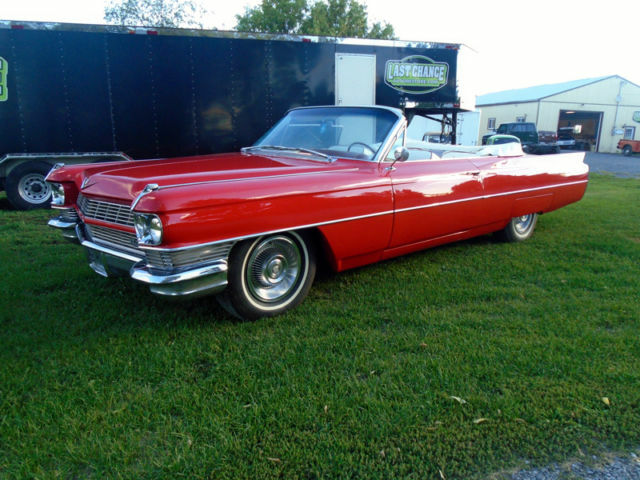 This Cadillac is a very pretty car and is a pleasure to drive. 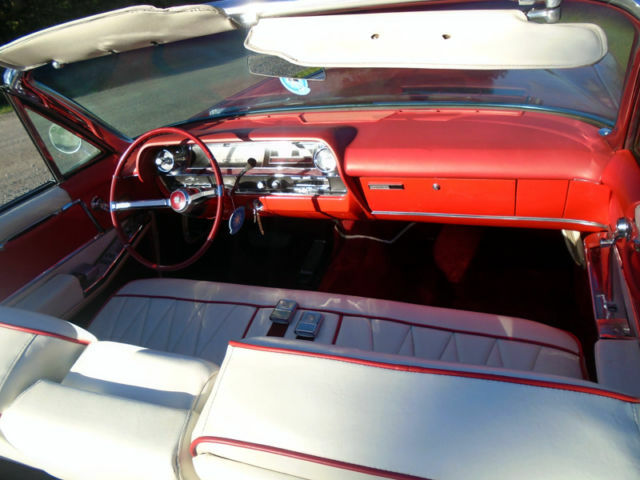 It certainly attracts a lot of attention and countless thumbs up when out cruising around. 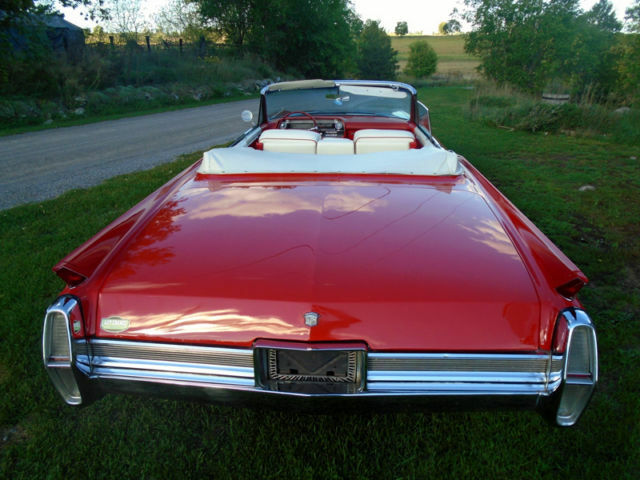 This Cadillac Convertible was never driven in the winter, never seen snow, and only enjoyed on nice summer days! 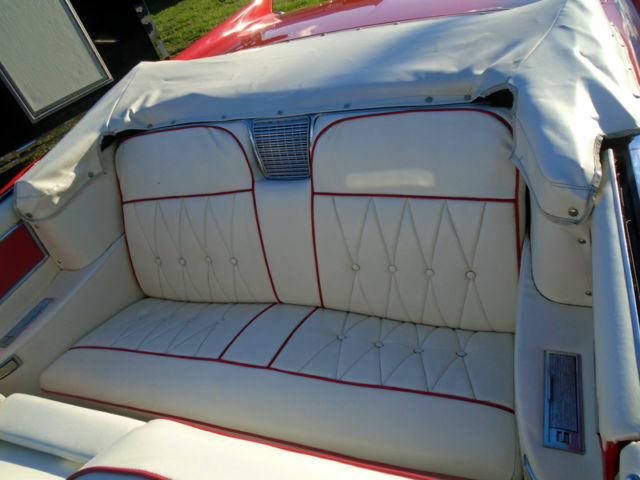 If you are looking for a nice driving Cadillac Convertible, this is the car for you! 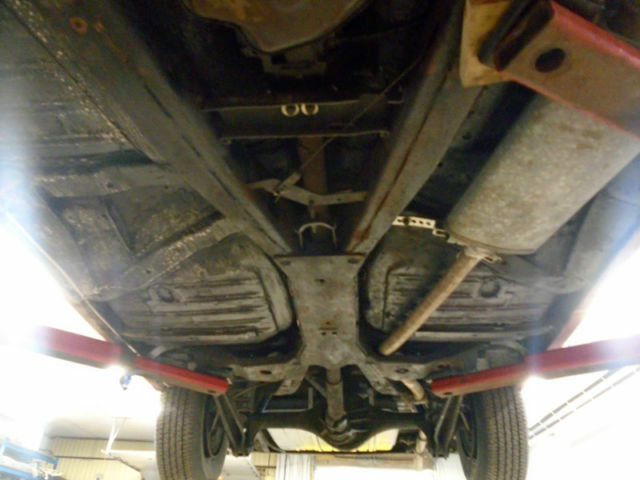 The frame is solid and rust-free along with the floor and trunk having no rust issues. 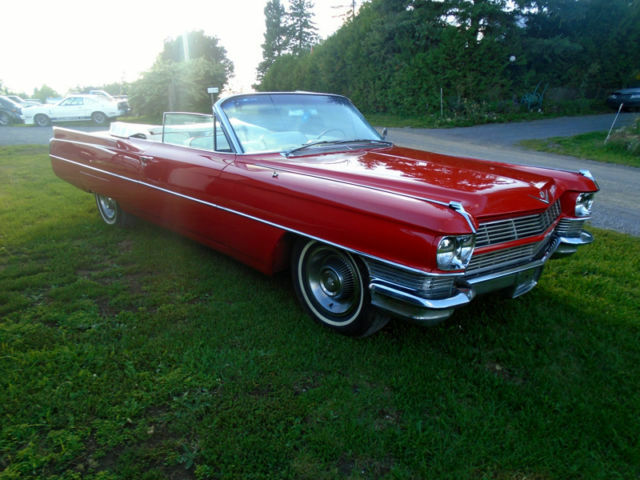 You are purchasing this car from a Registered Auto Dealer in Ontario Canada. 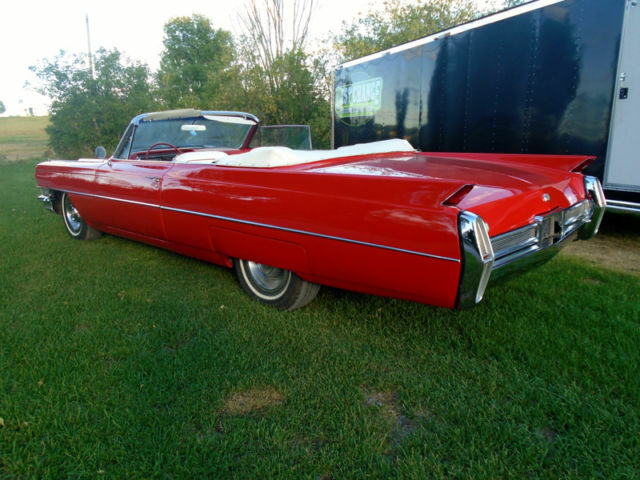 The purchase price of this Cadillac is subject to applicable taxes (*FOR ONTARIO CANADA RESIDENTS*). Not only is Last Chance Auto Restore.com a registered Selling Dealer, they specialize in Ground Up Rotisserie Restorations. Last Chance Auto Restore.com can assist the purchaser with paperwork and assist in making shipping arrangements World Wide.